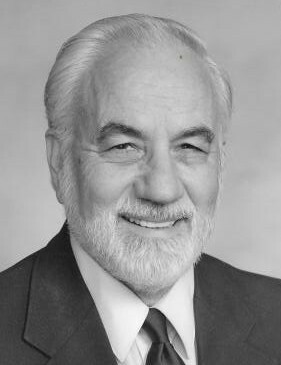 Obituary for George William Kilbourne | Sierra View Funeral Chapel & Crematory, Inc.
Sierra View Funeral Chapel & Crematory, Inc.
George W. Kilbourne passed away peacefully on November 28, 2018 at home in Carmichael, California. Born to John and Maud Kilbourne in Berea, KY on March 29, 1924, he was the fourth of six children. He is predeceased by his parents, third wife, Ann Lavine and his son, Stuart. He is lovingly survived by his brother Harry, son Charles (Dale), granddaughter Lauren, great-granddaughter Kadence, stepdaughters Michelle Gallagher (Bill), Adrienne Sutherland (John), and stepson John Boone (Carolyn). 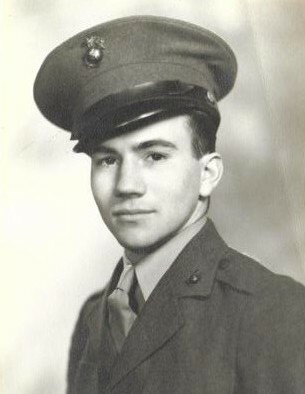 George served in the United States Marine Corps in the South Pacific during World War II. Upon his return, he married Helen Spooner in 1945 and raised two sons. He received his BS degree in engineering from the University of Michigan. Hired as an engineer by Standard Oil of California in the late 1940’s, his career changed course when he experienced multiple bouts of tuberculosis, requiring hospitalization and long-term recovery. During recovery, he attended University of California, Berkeley’s Boalt Hall and received his Juris Doctorate degree. He practiced law for over 50 years, including an early career experience as a country lawyer in Indiana. His engineering background was the foundation for representing plaintiffs in personal injury cases. He was one of the first attorneys in California to successfully litigate cases against both the asbestos and tobacco industries. Later in life, he married Carole Boone and raised two stepsons. He was the founding scoutmaster of Boy Scout Troop 405 in Pleasant Hill and saw his two stepsons attain the rank of Eagle Scout. He was a life-long member of the Republican Party and was strongly committed to his conservative values. In retirement, he traveled extensively with his third wife Ann, especially enjoying cruising and multiple trips through the Panama Canal. He authored three books recounting growing up on a farm in Kentucky during the Depression, his experiences as a country lawyer in Indiana, and a genealogical history of the Kilbourne family. No public memorial is planned at this time. Burial will be private. In lieu of flowers, please consider a donation to the Mount Diablo Silverado Council Memorial Fund of the Boy Scouts of America.